The weather has gotten colder and I find myself reaching for my warmer sweaters and coats. I've also realized that most of my winter coats and fleeces are pretty old now and could use a replacement. My dilemma has been whether to go for practical or stylish. I'm in love with the wool coat from Modcloth, but I also know I could definitely use a 3-in-1 jacket, or at least a water-proof weather-resistant outer layer. Or do I just keep my current water-proof jacket and just buy a new warm fleece to wear with it? Decisions! (First-world problems!) But my heart still wants that Modcloth coat. I've also been on the fence about buying rain boots because I hadn't found a pair I liked enough to splurge on... until now. Here are some of the things I've been coveting. 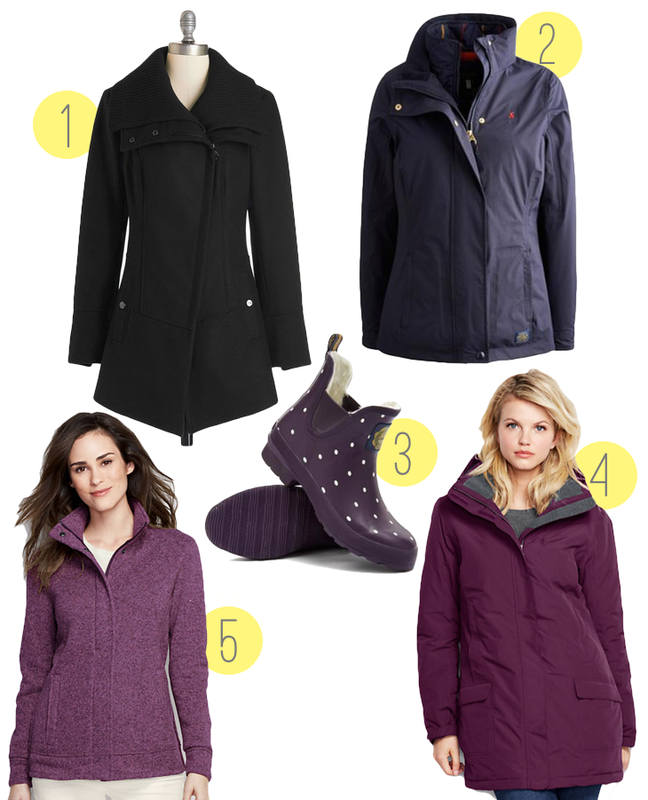 What cold weather clothing have you been coveting lately?